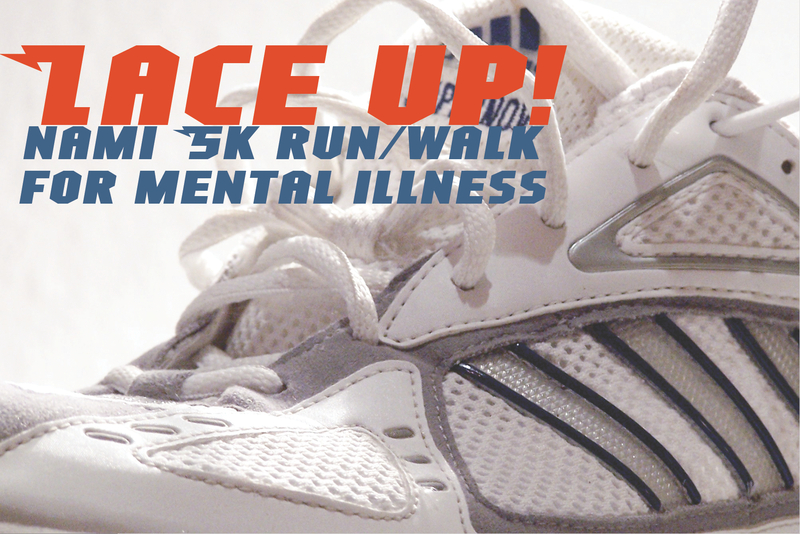 The National Alliance on Mental Illness of Southwestern Illinois (NAMI SWI) is holding its 8th Annual 5K Run and Walk for Mental Health on Sat., October 29 in Alton at Russell Commons Park. The 5K run begins at 9 a.m., and the walk begins at 9:30 a.m. The Wier llamas will once more lead the walk this year. Registration is $15 for a walker or $25 for a runner. Participants will get a free t-shirt after they register. Registration can be done at the race site starting at 8:00 am that morning or online at http://namiswi.org/walk2011.htm by October 21. In addition to the race, participants are also able to come dressed in a family-friendly Halloween costume! There will be an award given to the best Halloween costume, and there will be costume prizes given to both kids and to adults. Each costume participant will receive a free goodie bag of treats. The money raised will help continue to pay for NAMI Southwestern Illinois’ free educational programs for mental illnesses. Raising awareness and teaching classes about mental health is hoped to help diminish the stigma that is still present in the world today about mental illnesses such as schizophrenia, depression, personality disorders, and several others. With these stigmas still present, those who suffer from mental illnesses find it difficult to cope with their illness. Rudolph says the organization is still looking for corporate sponsors and “Be a Llama” sponsors for the event. “We are very grateful to our large sponsors who have already stepped up to the plate,” says Rudolph. Currently the organization can count ARCA (Assisted Recovery Center of America), Vantage Credit Union, Chestnut Health Services, TheBANK of Edwardsville, The Roennigke Family, Madison County Mental Health Board, Gateway Regional Medical Center, WellSpring Resources, ConocoPhillips, Lea Sommers of Country Financial and Allsup as corporate sponsors for the event. Aside from large corporate sponsors, the organization is looking for “Be a Llama” sponsors. “For $100 or more a “Be a Llama” sponsor will have a sign with their name placed on the race course, something new this year,” said Rudolph. The 5K Run and Walk for Mental Health is NAMI SWI’s major fundraiser, so please be sure to come out and support mental health awareness! To learn more about NAMI Southwestern Illinois, to become a corporate sponsor or to register for its Race for Recovery event please visit them online at www.namiswi.org or call Executive Director Mark Rudolph at (618) 798-9788.